1. Me… Jane – This story is about Jane Goodall as a child and her desire to help animals. Sweet story for animal lovers everywhere. 2. 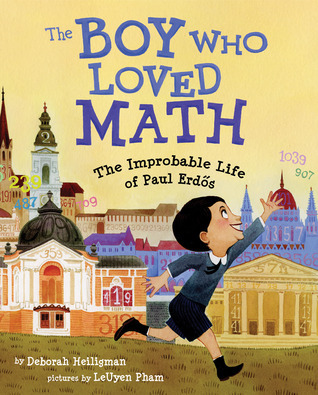 The Boy Who Loved Math: The Improbable Life of Paul Erdos – Erdos had an astonishing talent for calculating numbers. At age 4 he was able to calculate in his head how many seconds someone has been living by only knowing their birth date and time. Fascinating ability. 3. Sit-In: How Four Friends Stood Up by Sitting Down – In the fight for racial equality, four college students participated in a peaceful sit-in at Woolworth’s lunch counter in 1960. 4. 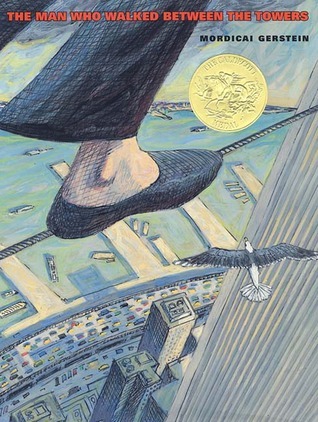 The Man Who Walked Between the Towers – This beautifully illustrated book, gives the story of a French Aerialist who walked a tightrope between the Word Trade Center towers in 1974. 5. The Tree Lady: The True Story of How One Tree-Loving Woman Changed a City Forever – Kate Sessions will forever be recognized as the woman who brought beautiful lush plants and trees to the seemingly desert areas of San Diego. 6. Moonshot: The Flight of Apollo 11 – Kids can learn about real-life adventure and discovery when they read about the historical space flight that occurred in the summer of 1969. 7. 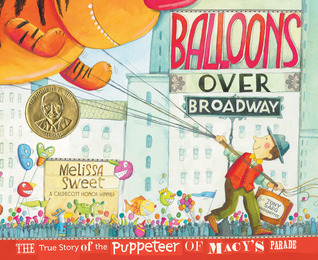 Balloons Over Broadway: The True Story of the puppeteer of Macy’s Parade – Meet Tony Sarg, as he dedicates his work to creating the famous giant Macy’s Day balloons. 8. Miss Moore Thought Otherwise: How Anne Carroll Moore Created Libraries for Children – There was a time when libraries did not have a children’s section. This story tells about Miss Moore and her project that changed the world for young readers. 9. My Brother Martin: A Sister Remembers Growing Up with the Rev. Dr. Martin Luther King Jr. – He was an average ordinary boy, who did not judge people by the color of their skin, while the rest of the world did. He set out to change things. 10. Aliens Are Coming! 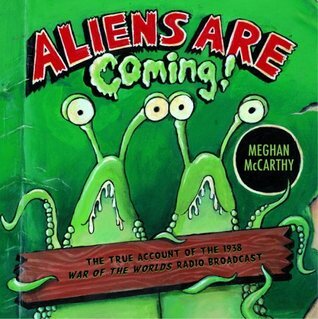 : The True Account of the 1938 War of the Worlds Radio Broadcast – Read about the Halloween radio prank that fooled most of the country into believing the Earth was being invaded by aliens. 11. Colorful Dreamer: The Story of Artist Henri Matisse – Outlining the life of Matisse in his journey to becoming one of the greatest painters in history, because he didn’t give up on his dream. 12. The Fantastic Undersea Life of Jacques Cousteau – His love for the ocean led Cousteau to exploring the seas and bringing further knowledge to the world. 13. Wilma Unlimited: How Wilma Rudolph Became the World’s Fastest Woman – Inspiring story of a little girl with a paralyzed leg that worked her way to being an Olympic Gold Medalist. 14. Starry Messenger: Galileo Galilei – Summarizes the story of Galileo and his goal to map out the skies. 15. 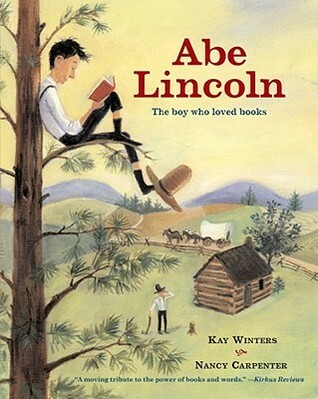 Abe Lincoln: The Boy Who Loved Books – An account of Abraham Lincoln’s childhood and his love for literature.